The Flomar® HL series features a special EC high-performance separation package specifically designed for the food and meat industry. The Flomar® HF series is designed for general industrial applications and has a highly effective air saturation system with self-cleaning de-aeration valves. To eliminate impurities from wastewater, emulsion splitting or flocculation/precipitation must usually be carried out prior to the actual flotation process. 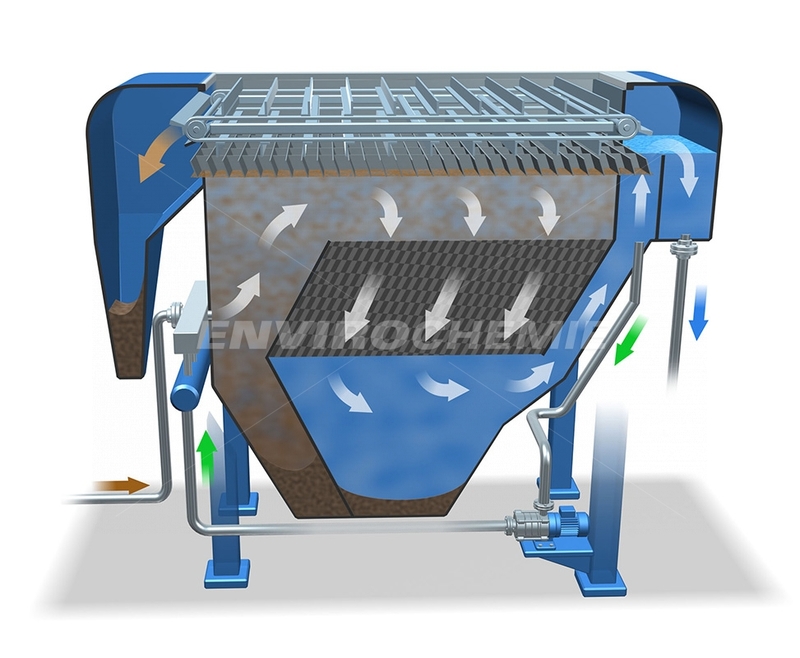 In the dissolved-air flotation system, a return flow is saturated with air under pressure, released and mixed with the pre-treated wastewater. We have significantly improved flocculation and flotation with the patented Flomar® AIR-POWER system.